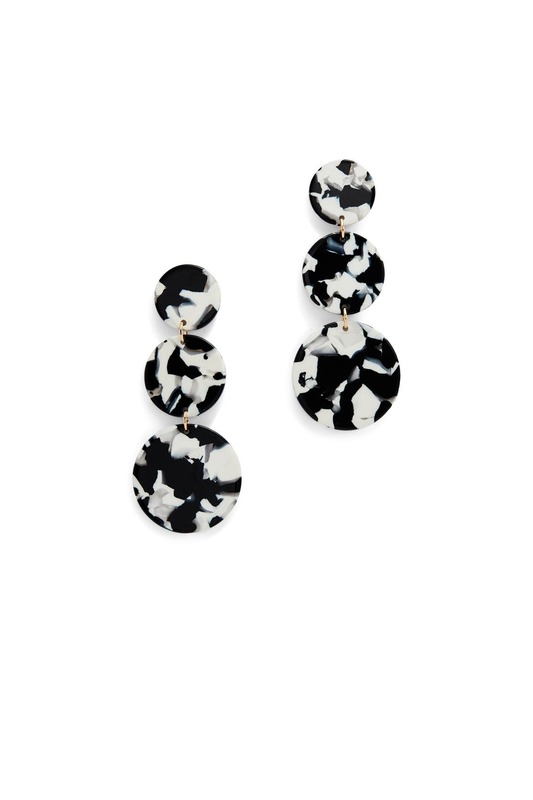 Gradient marbled discs swing sweetly on these triple-drop Slate & Willow earrings. 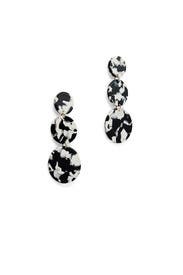 Black and white triple drop acetate earrings. Post backs for pierced ears. 3" long.